Many thanks to Brian for letting me reproduce his notes here . From the very first stirrings of model making as a desirable pursuit, I regarded the hobby with a keen and challenging eye, The challenge was to make my models work in some way as a satisfying method of bringing the subjects to life and to add interest to the models. In my early days of modelling, over 55 years ago! This keenness to animate my models was thwarted by the lack of knowledge, small motors and electrical equipment to carry out my desires. Thirty-five years ago I had some knowledge but the hardware available meant6 that only large scale subjects could be tackled successfully. The first model I motorised was a 1:12 scale figure of Aurora’s “Robby the Robot” which trundled along on converted model tank tracks. Next was Revell 1:32 Gruman Wildcat with a motorised propeller activated by shutting the side canopy, Since those pioneering days things have moved on apace; tiny motors produced for the mobile phone industry have made it possible to motorise the propellers of 1:144 aircraft and the tail rotors of helicopters. Miniaturisation in the electronics industry has made available other items of great usefulness to the model animator. 0.75mm, 1.5V micro bulbs, 3mm LED’s in all shades of colours, some with built in flashing circuits and printed circuits to produce a variety of effects useful for model use such as sound effects and sequencing of electronic equipment are al easily available today. The great news for the likes of myself for now I can fulfill most of my model animating dreams. On the other hand my mind works overtime to outdo myself on each new project in new ways to motivate my modelling subjects which lead wither I know not! I use Maplins the well known electronics outlet to purchase a lot of my modelling needs such as wiring bulbs and kits for sound and lighting effects that are based on small circuit boards with all the components required to work the effects, such as capacitors, resistors and transistors. I regard these effect kits as I do my model making and enjoy assembling then and see the projecting success. The prime importance when tackling these kits as the ability to solder small components onto circuit boards without short circuiting or destroying them by applying too much heat, the delicate components will not suffer high temperatures for more than a few seconds in most cases which I have learnt to my cost! I am not an expert and do not have a technical knowledge based approach to electronics. I learn by the hit and miss method and experimenting with components until I succeed. 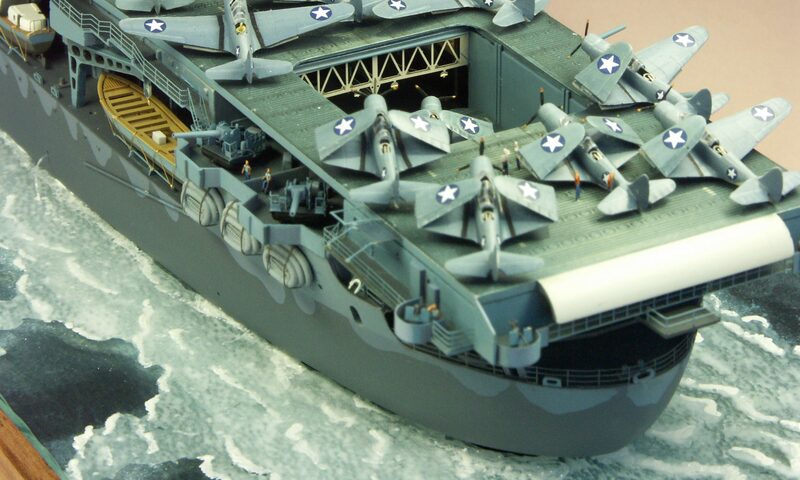 Most modellers can master the skills needed with reasonable ease. The kits I use most are for controlling the timing of small electronic motors or lighting systems and sound effect devices. The wire I use for general model work is of the multi stranded small diameter type that has good flexibility to enable wiring runs access to areas of a model that are a tight fit or in awkward locations. For even smaller tolerances I use enamelled copper wire which is available in various fine diameters, All thes wire types will easily carry small Dc currents need ed in model applications around 1.5 to 12 volts. Sub-miniature connectors from computer world of hardware are ideal for model purposes ad they come in the form of strips of male and female pins that can be cut to the amount of connections required. All of the wires mentioned can be bundled tightly together without fear of short circuits, so if you need several supplies of power in a very restricted area these fine wires are the ideal solution. In the case of enamelled wire you have of course to remove the enamel at each end of the wire using a model knife to scrape the coating off. A well as straight running electric motors there is another type that incorporates a gear box. One motor that I have recently come across is amazingly small and comes from the photographic world. These tiny low volt motors with gear boxes are used in cameras to drive zoom lenses and rewind film. Another way I use gear down motors is to make up a gear box tailor made for the project I am working on. An example of this can be seen in the beginning of the article. This set up is specifically mode to fit the Trumpeter 1:35 kit of the Hind helicopter. Gear wheels are available for most modelling project from companies such as EMA , Lego and Proops. With a basic knowledge of how gears trains work it Is possible to make up your own custom made gearboxes for your models.